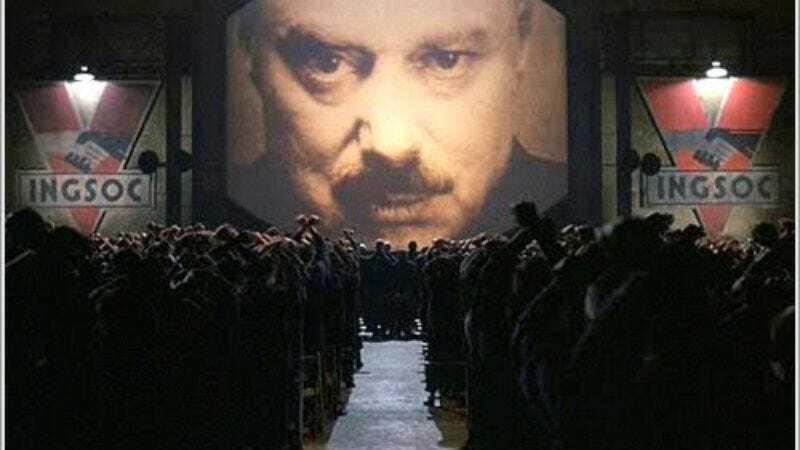 Imagine Entertainment is looking to develop another film adaptation of 1984 (or Nineteen Eighty-Four, if you want to get all English Lit-major pedantic about it), George Orwell’s classic novel about the dystopic year in which the world’s population was reduced to slavish proles, subsisting on Victory-gin—or as it was more commonly known, Tab—and pouring all of their pent-up anger into watching the “Two Minutes Hate”—or as it was more commonly known, Webster. Interest in mounting a new film adaptation—the first since the still-well-regarded version starring John Hurt and Richard Burton—can reportedly be attributed to Shepard Fairey, the street artist who made a bunch of posters with the word “Obey” on them and therefore totally got what Orwell was saying. While deals are still being worked out, Fairey may take on some sort of producing role in the eventual film, which will be seen as pure escapist fantasy now that everything is awesome.